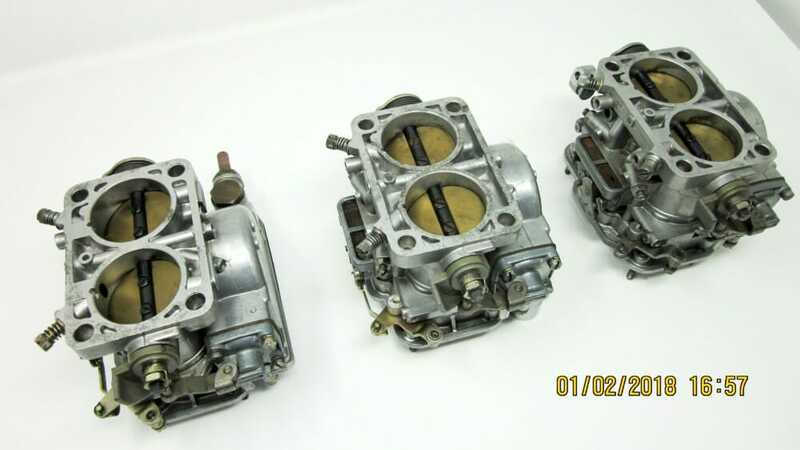 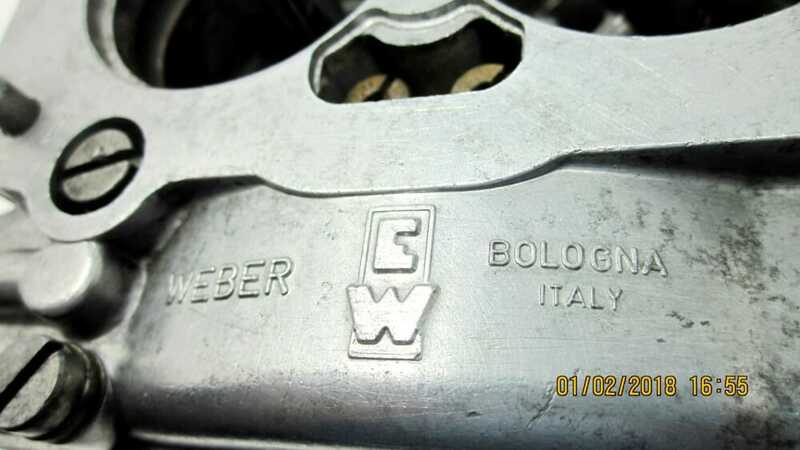 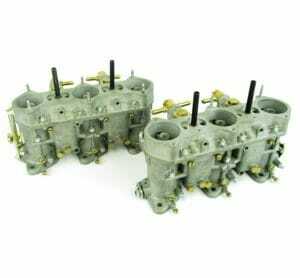 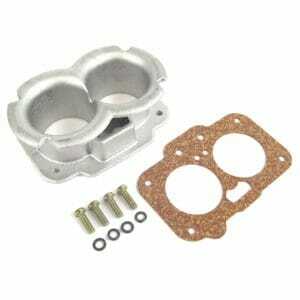 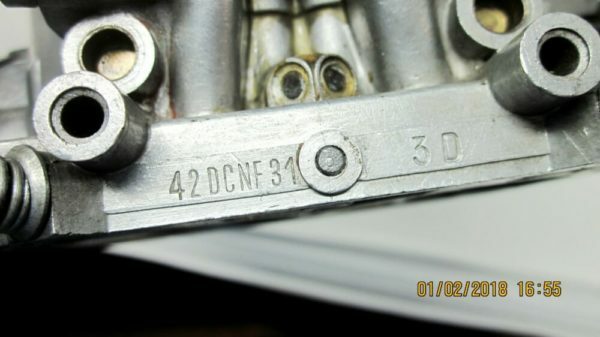 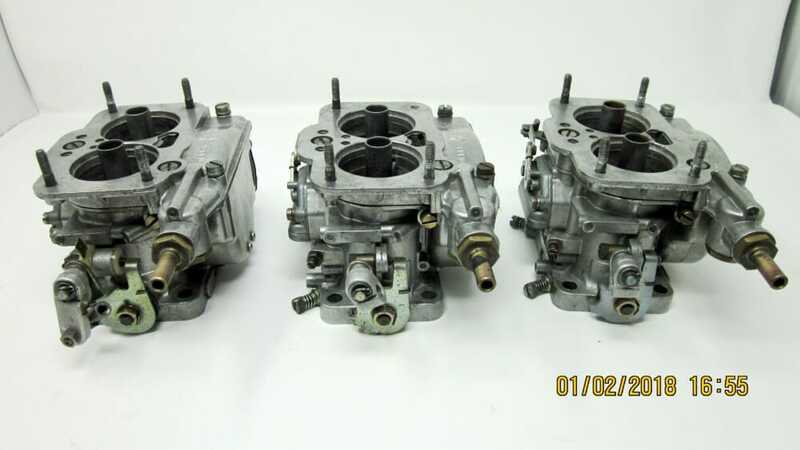 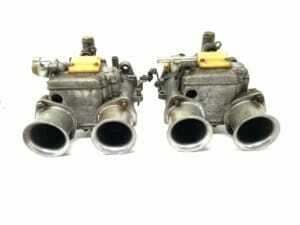 WEBER 42 DCNF 31-31-32 Carburettors set. 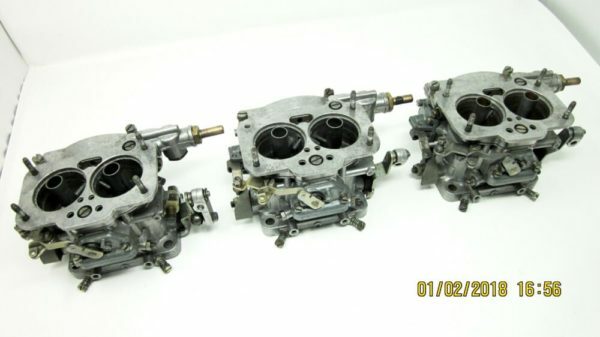 (3x pieces, as shown in photos). Complete, Original, matching set, Made in Italy. 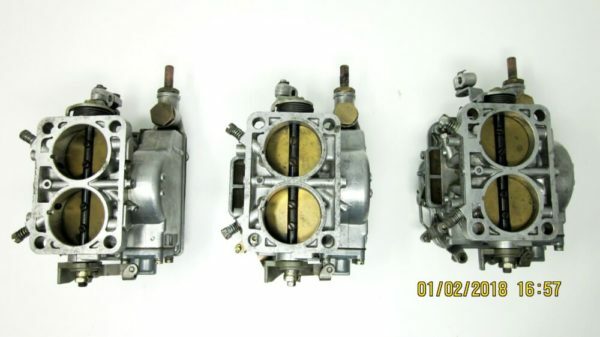 Original equipment on Maserati Merak 3000 V6 Engine (Circa 1973). 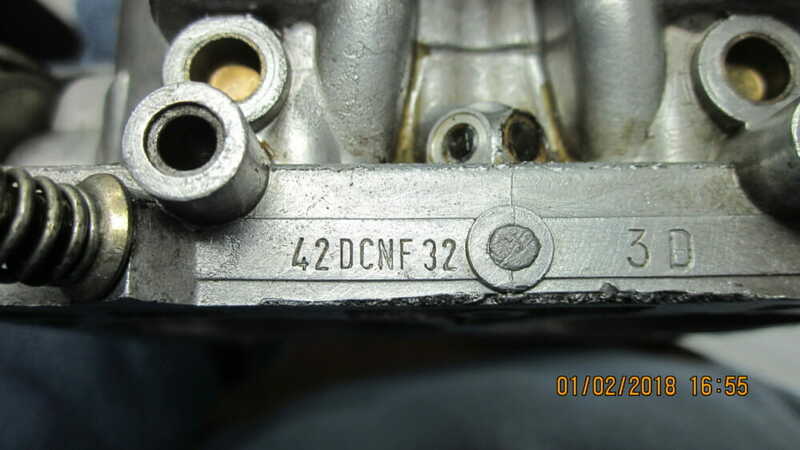 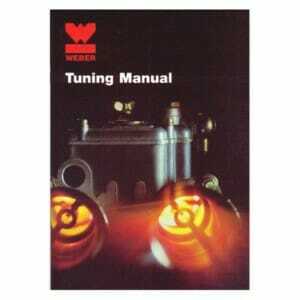 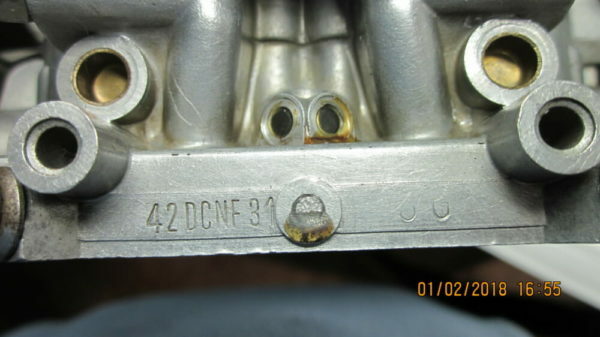 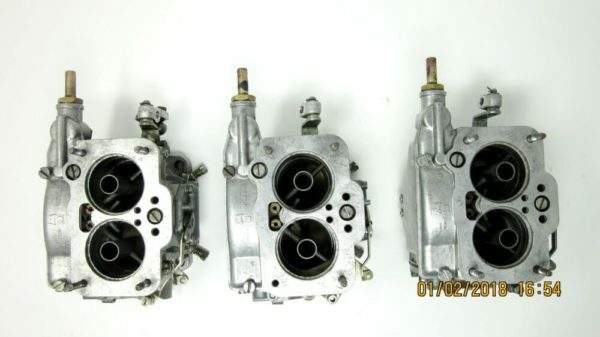 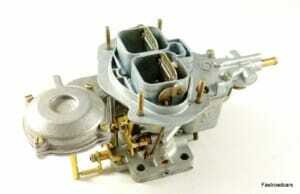 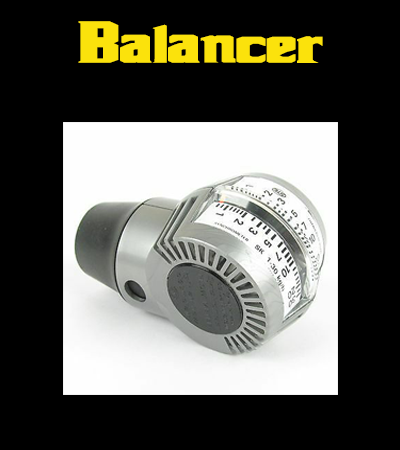 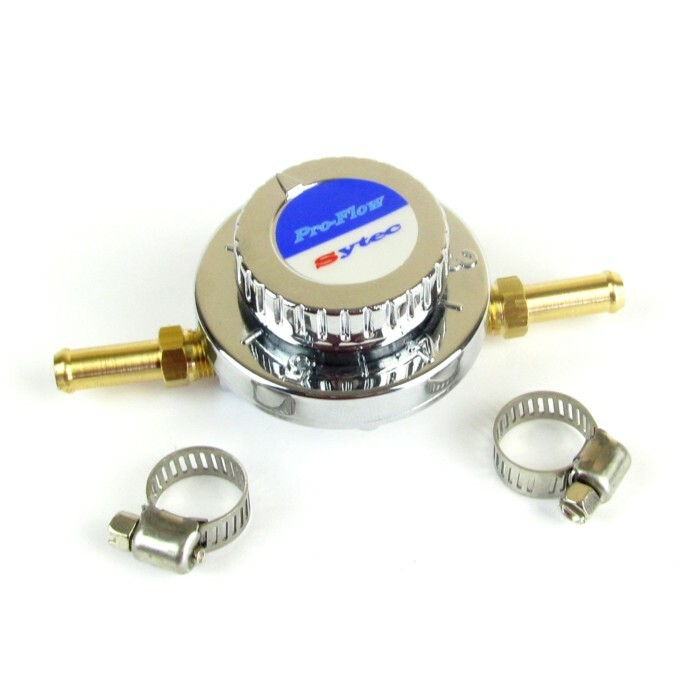 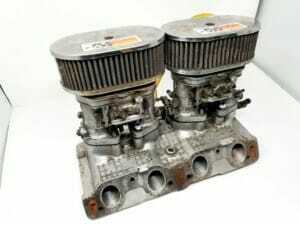 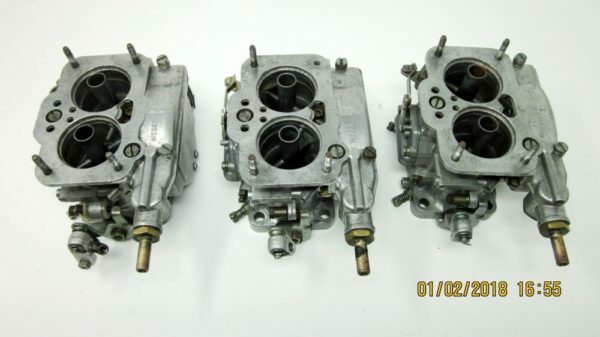 Also, usable on Classic Ford Capri/Granada 3Ltr V6 Essex Engines as an upgrade. 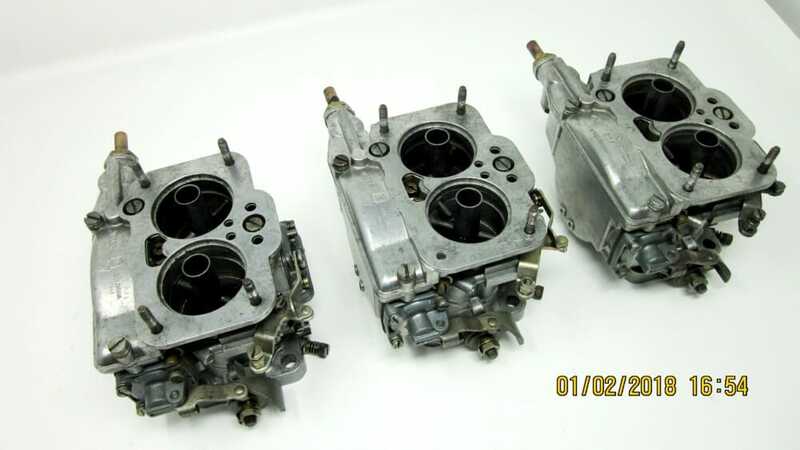 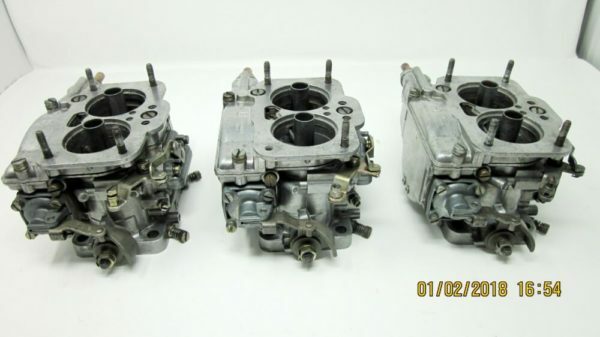 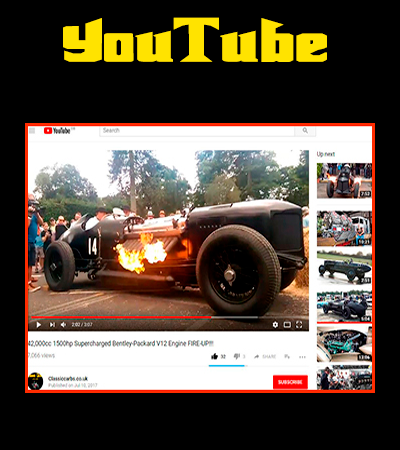 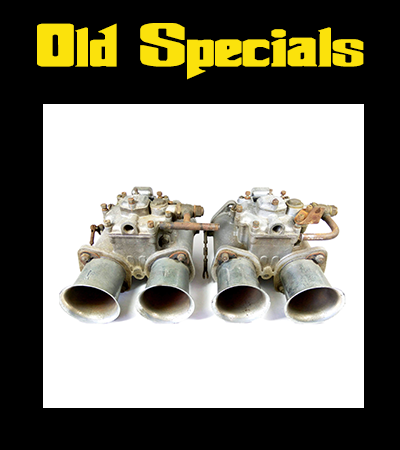 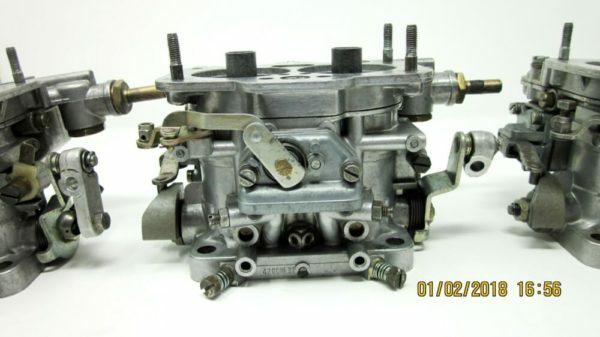 Carburettors are in good working order, but they will need a service before use again..
Trumpets are available separately in our shop.